Thanks to Leo from Radio Futura for capturing a video of the opening art show “Subterranean Heads 2”! A Walk Through the Shop! 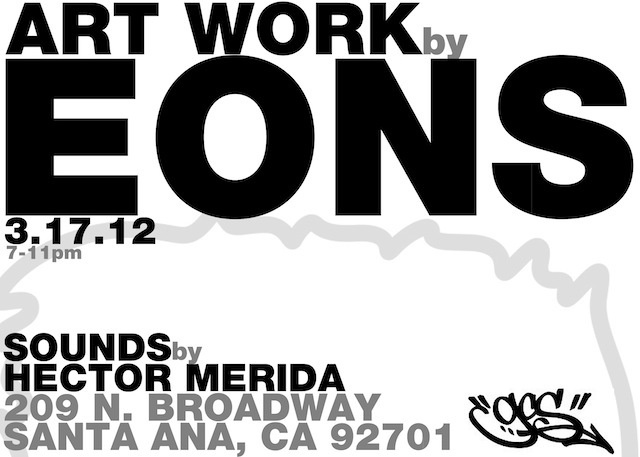 Join us on March 17, 2012 for the “Bad Habits” art show featuring new art work by EONS. Event starts at 7pm! I Wuz Here! 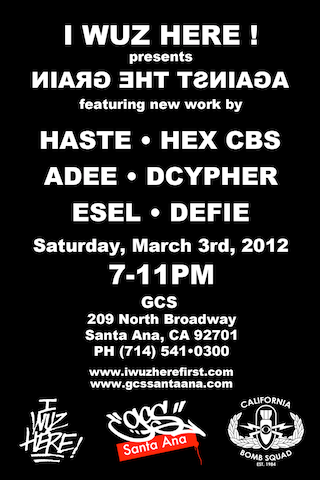 x GCS Santa Ana presents “Against the Grain” art show March 3, 2012. 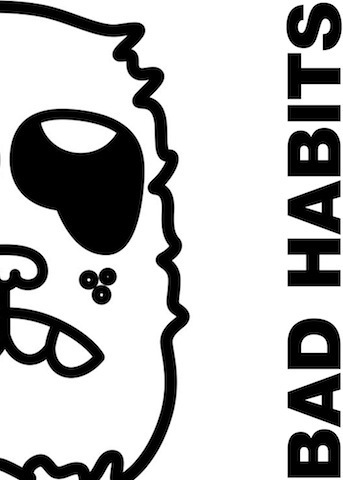 This art show will feature new works by Haste, Hex CBS, Adee, DCypher, Esel, and Defie. Show starts at 7pm! 1st Saturday Art WalkAdeeAngerArt ShowArt WalkDefieDTSAEselGCS Santa AnaGraffitiHasteHex CBSI Wuz Here! Everyone knows that we are catching up on loose ends. 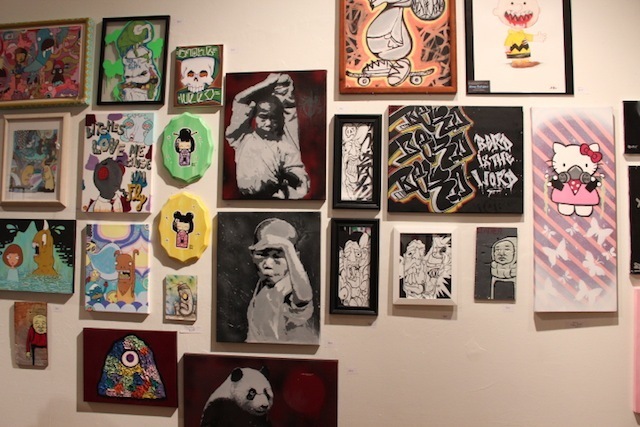 This blog post takes us back to the 1st art show of the year. 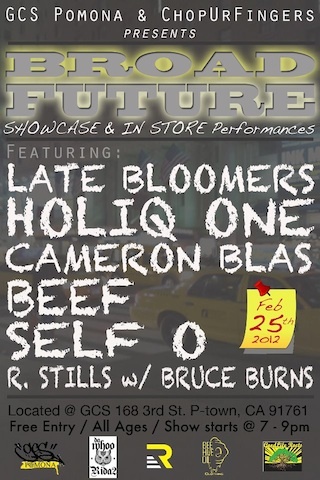 “$50 and Under Art Show” went down January 7th, 2012 and it was our first completely open art show. Open art show you say, what is that? We’ll it was the first time that we accepted art work sight unseen as long as it fulfilled certain criteria. 1) The piece had to be an original 2) The piece had to be ready to hang and 3) it had to be priced $50 and under. Simple enough. And the response was excellent. We had over 140 original pieces from veteran GCS artists as well as those neighborhood cats that hadn’t had a chance to get up on these walls. Judging from the response we got, a second $50 and under art show should be in the works soon. Maybe we’ll top 200 pieces. Special thanks to DCaster/taco comics/ Dave Castro for doing a live painting session in the front windows and then raffling off the piece at the end of the night. As always, Moe Man and Big Wiz were on the one’s and two’s. Thanks also to everyone that came out to the show. Here are some pictures if some of the lucky art buyers that got to take some beauty home with them. 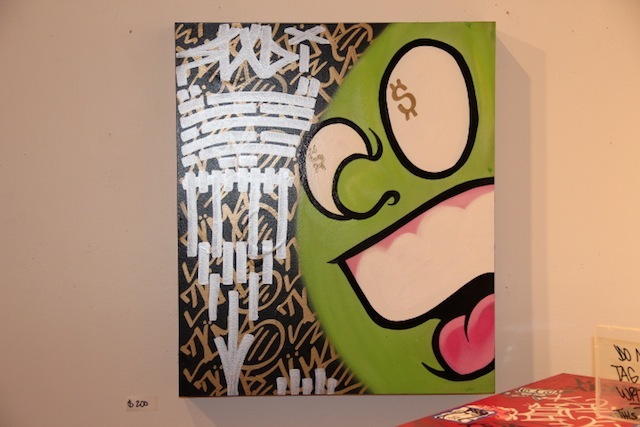 February’s art walk brought us “Subterrenean Heads 2” art show. 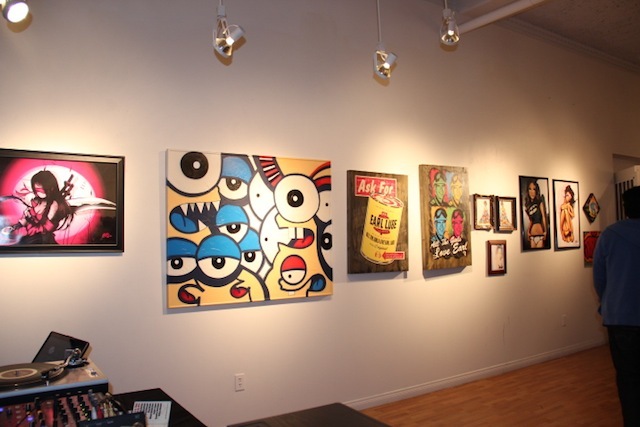 Curated with the help of 455er, this show brought out the likes of Mear One, Splat , YT, Jelly Bones, Biafra Art, Akil, Just195, Egads, ATGL Earl, Ebenholtz among others… This was the second part to the subterrenean heads series which focuses on street art and the creatures of the night. 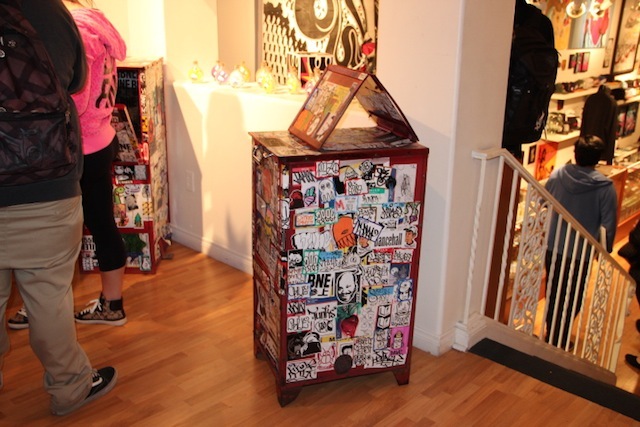 Talk about stickers, this show brought out the sticker lover in everyone. Highlights of the show included Mear One’s huge limited edition art prints, a spoken word performance by Mike the Poet, and some bay area newstands loaded with hard to find tags and stickers that made their way down here courtesy of Splat. 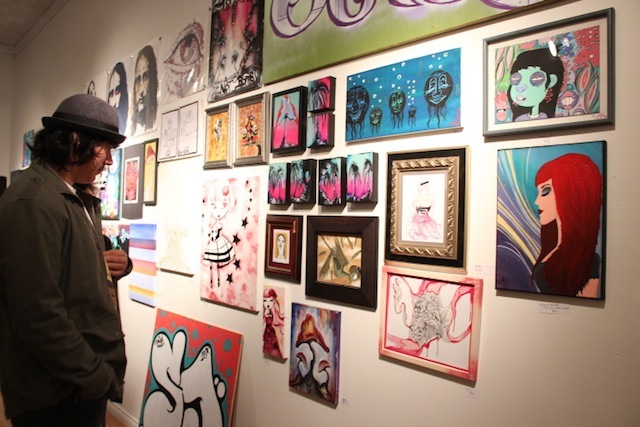 Special thanks to the artists and friends that brought out thier great art work for the show. 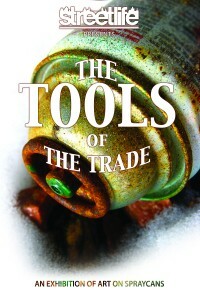 And most of all, to the art fans and customers that made the night a great success. You know we doing this again!! !..